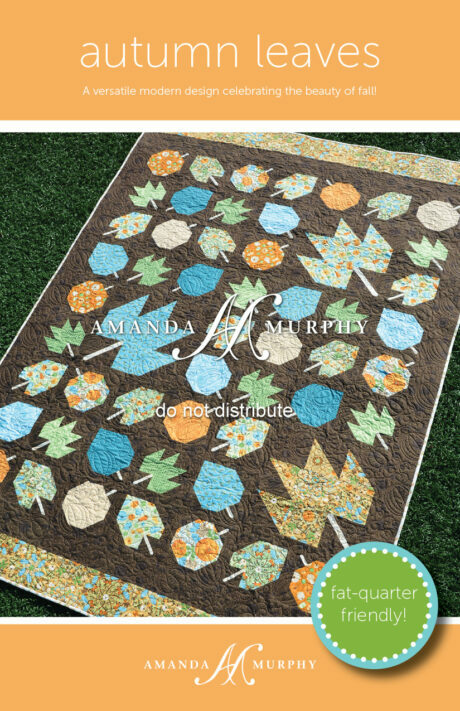 A versatile modern design celebrating the beauty of fall! 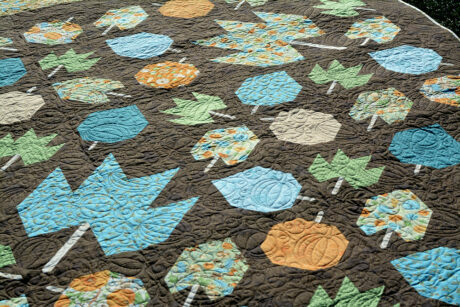 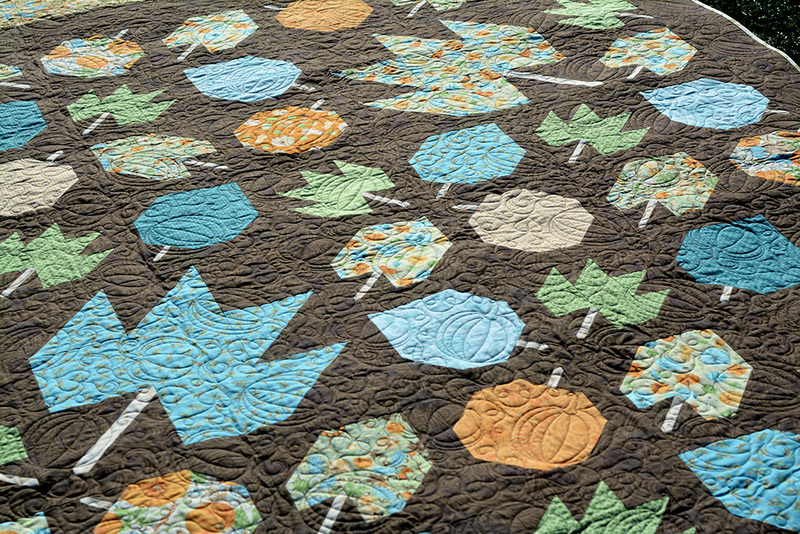 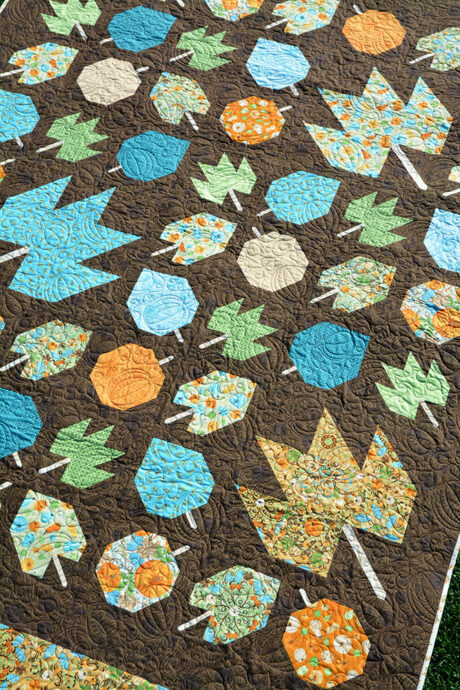 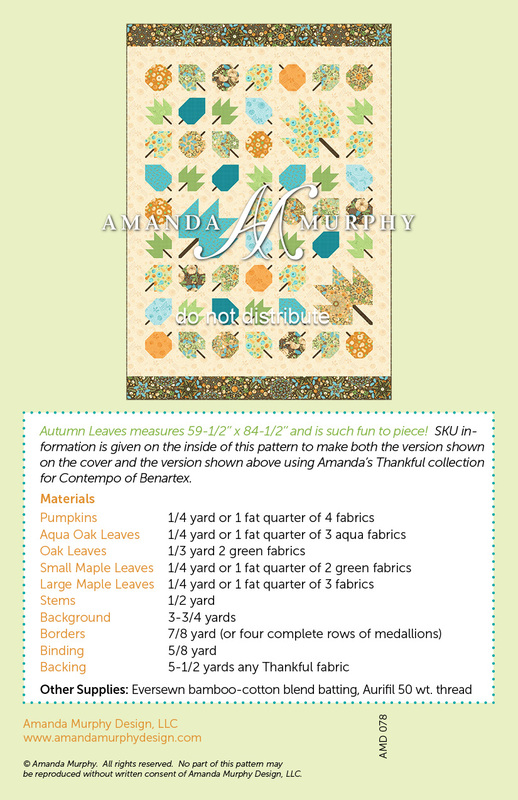 Autumn Leaves measures 59-1/2’’ x 84-1/2’’ and is such fun to piece and simple to kit! 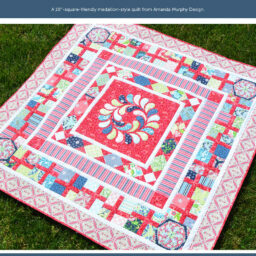 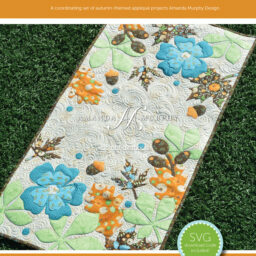 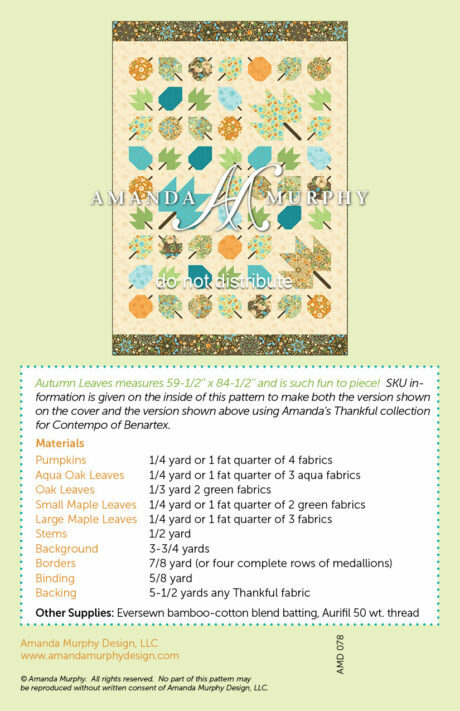 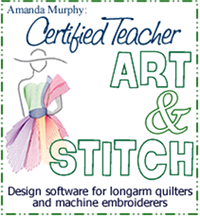 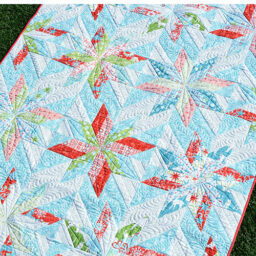 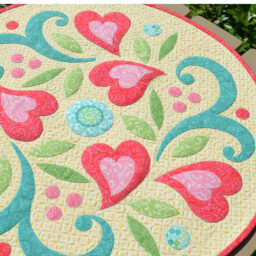 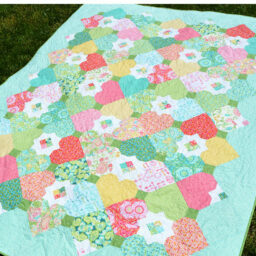 SKU information is given on the inside of this pattern to make two versions using Amanda’s Thankful collection for Contempo of Benartex.